If you live in or near Illinois and are struggling to pay for birth control, you can relax a bit. 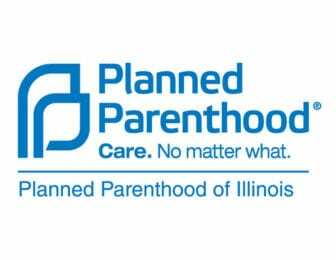 Planned Parenthood of Illinois has announced it will cover the cost of contraceptives for patients who cannot afford them for one year, until 2020. The total cost for this program known as the Access Birth Control initiative—ABC—is not known, but is being funded by private philanthropy. With layer upon layer of state restrictions being placed on access to reproductive health care, this announcement comes as a welcome relief. Why did Planned Parenthood of Illinois do this, and why now? “Increasing access to affordable and comprehensive healthcare remains our priority, despite the challenges of America’s complex health system,” Jennifer Welch, president and CEO of Planned Parenthood of Illinois, said in a news release. With the change in administrations, it was clear that there would be a change in how the Affordable Care Act (ACA) would be administered, especially when it came to access to contraception, which was free under the ACA. It became a political football, giving employers and the government the right to declare a sincere religious objection to birth control and opt out. While a federal judge has blocked these objections, the legal battle will continue and women will be left in limbo with the option, in many cases, of carrying a heavy financial burden (birth control is not inexpensive) or risking pregnancy by going without. Anticipating these changes, there was a spike in the use of IUD implants by 22 percent just before Trump moved into the White House, which speaks to the fears that restrictions were coming. The ABC program does not specify what kind of contraception a patient should receive, so the patient can choose. Previously, with cost a factor, patients might opt for what was cheapest, rather than what suited their needs. Now, they have options. Eligible patients include those who are uninsured and pay out of pocket or who can’t afford birth control even on a sliding-fee scale. Some patients have private health insurance that doesn’t cover contraceptives, or they have a high unmet deductible; sometimes youths might not want to use their parents’ health insurance due to confidentiality concerns. This would also cover the cost for patients who are not eligible for Medicaid, including undocumented immigrants. When we think about reproductive health care, most people immediately focus on access to abortion services. But if you talk to the people at the 17 Illinois Planned Parenthood Clinics across the state, the majority of them provide women’s and men’s health care that includes cancer screenings, general health care exams, STD testing and treatment, HIV services, pregnancy care and services, and more. Only a few of the clinics provide abortion services. And in some parts of Illinois, the Planned Parenthood Clinic is one of the few health care clinics available to those who live in the area. Looking at the cuts to the teen pregnancy program through the lens of history and politics suggests that nonprofits must consistently think politically—it’s not always about evidence.